SkillBites offers Done For You book writing and publishing services: we will write your book and handle all of the editing, layout, cover design, formatting and other steps to get your book published; or if you’ve written your book, we’ll take the file of your manuscript and handle all the steps to get your book published. If you want a different set of services than are included in the packages, we’ll create a custom package of just those services you want. We offer various a la carte services, such as our book outline service and book coaching service to help you write your book, as well as book marketing services, including a book launch campaign, social media campaign and bestseller campaign. Any of these can be added into a package. When you determine the package that is right for you, you can purchase the package online by clicking on the Buy Now button, and you will be taken to a brief application form. Once you submit that, you will then go into the shopping cart to purchase the package. Or you can call with your credit card number or pay by check, mailed to SkillBites at PO Box 352, Valley Forge, PA 19481-0352. To request a custom package, just contact us at 855-SKILLBITES (855-754-5524) or by email at info@skillbites.net. SkillBites is now offering the option of paying by credit card or through PayPal. You can purchase a package today and not have to pay anything for 6 months, through PayPal’s Bill Me Later program! Make sure you fully understand the terms of this program before you sign up for it. If you don’t pay within the six months, you will incur substantial interest payments. To learn more about this program, click on the banner below. The prices are for books up to 15,000 words in length (roughly 50 pages in a 6” x 9” book. We will be happy to provide a quote for longer books. As a business owner or professional, you have immense expertise to share with others and want others to know of your expertise by writing a book. But how to do find the time to write a book when you’re already swamped? We’ll write it for you! And then we’ll handle all of the other steps required to get it published for you, conduct a book launch campaign and provide you with 100 paperback copies of your book. We will start with developing a detailed outline of your book. We’ll send you a workbook, set up a time to talk with you, and review any materials you’ve already developed on your topic. We’ll send you the draft outline and incorporate any changes you want made. After you’ve approved the outline, we’ll conduct another phone interview with you to flesh out the content for the first chapter. We will aim to complete a draft of that chapter within 3 weeks from the call with you, and send it to you for your review. After we receive your feedback on the first chapter, we’ll schedule another call with you to talk about the second chapter, and will proceed the same as for the first chapter through the remaining chapters, until we’ve covered all the chapters in the outline. Once the book is fully written, we’ll each review it in whole. We’ll incorporate any further changes you have and send you a final copy. We’ll then have a professional editor and proofreader review to ensure clarity and flow of text, and to correct grammatical and other errors. You’ll receive a file that is marked to show the changes. We will obtain ISBNs for your print book and eBook, as well as a bar code for your back cover, and register your copyright ownership with the US Patent, Trademark and Copyright Office. Next we’ll send the approved final manuscript to a layout designer to give your book a professional appearance. We will send you a list of layout issues for you to provide your preferences; if you have no preferences, we’ll provide a few sample layout designs for you. After the layout is approved, we’ll start on the cover design. We’ll talk to you about your vision for the front cover and create some sample front covers for your review. When the front cover is approved, we’ll take the information you want on the back cover and prepare that. We’ll provide a bar code for the back cover and submit a full cover to you for your approval. Once the cover is approved, we’ll have the book formatted for publication as an eBook. We ’ll send you a list of information we will need from you, such as a description of your book and the pricing of your eBook and print book. We will review the information you provide and seek to optimize it so that your book is more likely to be found on Amazon by your target audience. After we receive the information from you, we’ll start the publication process. We will provide you with a digital proof of your book, and when you advise that you approve the digital proof, we will order a print proof for you. Once you approve the print proof, we’ll get your book on Amazon and Kindle as well as on the other major online book retail sites. We’ll provide you with 100 paperback copies of your book (black and white interior), shipped to your address in the continental US. You will also receive our monthly newsletter, with tips for authors and business owners, and information on our upcoming SkillBites Show, where each episode is designed to foster the growth and success of our authors. For information on additional terms, click here. You’ve written your book. Congratulations! Now what? 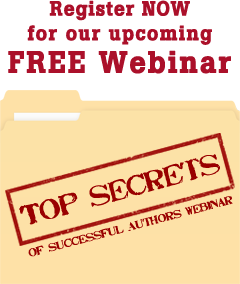 Do you really want to spend your valuable time learning what you need to do to get your book published? Do you know where to go to find a good editor, layout designer and cover designer? We’ve got you covered. We’ll take your manuscript and handle all of the steps to get your book published, and we’ll provide you with 100 paperback copies. After we receive the information from you, we’ll start the publication process. We will provide you with a digital proof of your book, and when you advise that you approve the digital proof, we will order a print proof for you. Once you approve the print proof, we will get your book on Amazon and Kindle as well as on the other major online book retail sites. We’ll provide you with 100 paperback copies of your book (black and white interior), shipped to your address in the continental US.